It still tickles me that I now venture tentatively into makeup reviewing, when five years ago I didn't wear any. In comparison I now daily use primer, foundation, an eyeshadow palette, eyeliner, mascara, brow pencil, concealer, highlighter, bronzer, lipstick, finishing powder and makeup setting spray! I still don't have the skills of women my age who have been wearing makeup since their teenage years, but thanks to YouTube tutorials, I'm getting there. My handbag touch-up kit is whatever lip colour I'm wearing that day & concealer. I find even if I wear eyeshadow primer, I still get a little dark smudge under my eye as the day goes on. So I carry a brightening concealer so I can 'paint over' those dark patches & freshen up my makeup. I had been carrying & using the Maybelline Eraser Eye Concealer which Sera from The Style Guide Blog had sent me. It was the lightest shade, but still too dark for her, but it was great for my skin tone. 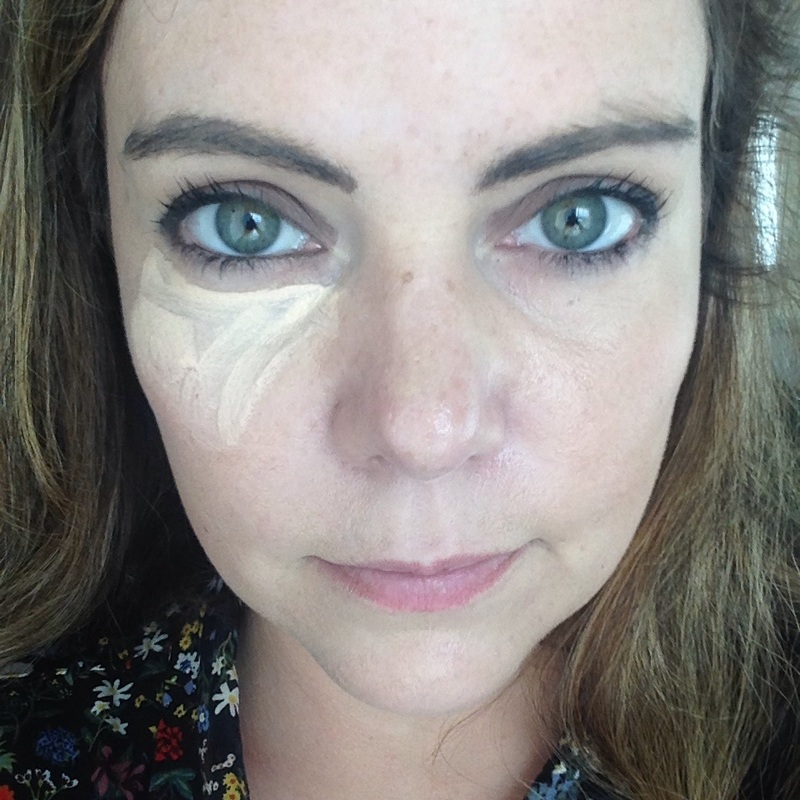 So when the Boots SEVENTEEN Skin Wow concealer arrived to review, it had to live up to my usual concealer product. 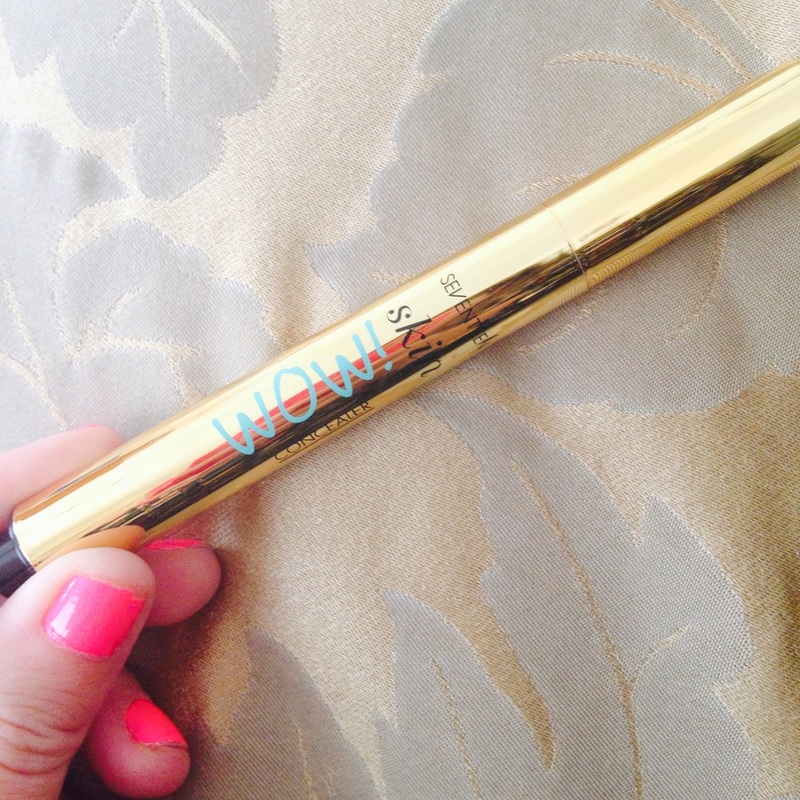 I previously tried out the highlighter & primer in one from the Skin Wow range and loved it, so I was keen to see how the concealer measured up. The little gold pen operates by clicking the end to release a small amount of product. It took a good few clicks to start the flow, but I would say once you have it started you would need one click per under eye area. I liked the little brush, it made application easy, but it wasn't suitable for blending as it just kept adding more product. Blending out with my fingers was fine. The concealer currently comes in fair or medium on the Boots website. I'm not sure if there is a darker shade beyond medium in physical stores. There are currently 51 reviews on the Boots site, and it has almost five out of five stars. That's a good indication of how versatile it is on many different skin tones. I'm a fan too. You can see below even with a quick application my under eye looks brighter and the crease less defined. It's not total coverage, but I reckon if you wanted that effect you could layer it on. I would definitely recommend the SEVENTEEN Skin Wow concealer, especially to pale ladies like myself who need very fair tones for their base makeup. Its also ideal for your contouring or strobing as you can paint it on with exact precision thanks to the snazzy little applicator brush. The concealer is currently on offer for £3.99 rather than £4.99, and if you spend £6 on SEVENTEEN products online, you get a free gift. Watch this space as I will be reviewing the new matte lips from the range very soon.